Willie Hugh Nelson (born April 30, 1933) is an American country singer, author, poet, actor and activist, originally from Abbott, Texas. He reached his greatest fame during the outlaw country movement of the 1970s, but remains iconic, especially in American popular culture. Nelson was born and raised in Abbott, Texas, the son of Myrle and Ira D. Nelson, who was a mechanic and pool hall owner. His grandparents William Alfred Nelson and Nancy Elizabeth Smothers gave him mail-order music lessons starting at age six. Nelson moved to Nashville in 1960, but was unable to land a record label contract. He did, however, receive a publishing contract at Pamper Music. After Ray Price recorded Nelson's "Night Life" (reputedly the most covered country song of all time; a version of "Night Life" was even recorded by convicted killer and former cult leader Charles Manson), Nelson joined Price's touring band as a bass player. While playing with Ray Price and the Cherokee Cowboys, many of Nelson's songs became hits for some of country and pop music's biggest stars of the time. These songs include "Funny How Time Slips Away" (Billy Walker), "Hello Walls" (Faron Young), "Pretty Paper" (Roy Orbison) and most famously, "Crazy" (Patsy Cline). Willie later did an album with Ray Price in 1980 called San Antonio Rose. Nelson signed with Liberty Records in 1961 and released several singles, including "Willingly" (sung with his wife, Shirley Collie) and "Touch Me." He released Across The Borderline in 1993, with guests Bob Dylan, Sin&eacute;ad O'Connor, David Crosby, Bonnie Raitt, Kris Kristofferson and Paul Simon. During the 1990s and 2000s, Nelson has toured continuously and released albums that generally received mixed reviews, with the exception of 1998's critically acclaimed Teatro (which was produced by Daniel Lanois?more commonly known for his work with U2?and featured supporting vocals by Emmylou Harris). Later that year, he joined rock band Phish onstage for several songs as part of the annual Farm Aid festival. 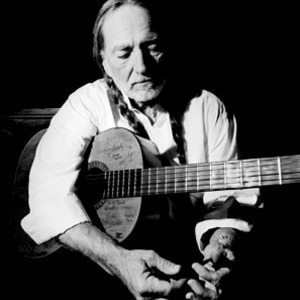 He also performed a duet concert with fellow Highwayman Johnny Cash, recorded for the VH1 Storytellers series. In March 2007, Ben & Jerry's released a new flavor, "Willie Nelson's Country Peach Cobbler Ice Cream". Nelson's proceeds will be donated to Farm Aid. The flavor has been re-released and is now available, after Ben & Jerry's voluntary recall of 250,000 pints of the new flavor on March 19, 2007, as wheat was incorrectly excluded from the list of ingredients. Nelson released the song "Cowboys Are Frequently Secretly Fond Of Each Other," a song promoting the awareness and acceptance of homosexuality, in reference to gay cowboys, as a digital single through the iTunes Music Store on Valentine's Day 2006, shortly after the release of the film Brokeback Mountain. The song was encouraged by Nelson's tour manager and close friend David Anderson, who said "This song obviously has special meaning to me in more ways than one. I want people to know more than anything?gay, straight, whatever?just how cool Willie is and ? his way of thinking, his tolerance, everything about him." Regarding the song, Nelson quoted "The song's been in the closet for 20 years. The timing's right for it to come out. I'm just opening the door."